Internet Explorer is a web browser developed by Microsoft Internet Explorer. It has been one of the lead web browsers for many years, helping to pave the way for other browsers.Windows Internet Explorer was developed in 1995 and was included as part of the Microsoft Windows line of operating systems. Internet Explorer is one of the world’s most widely used web browsers. During 2002 to 2003 Internet Explorer had over 90% of the web browser market share. Since the launch of Safari, Firefox and Google Chrome its numbers have declined steadily. From the time when Internet Explorer was initially launched, Microsoft has been dedicated to finding new features and technologies which benefit the development of web pages and names for internation domains. The latest release for Microsoft is Internet Explorer 10. It features a new interface that allows for both use as a desktop application and a Windows 8 application. There are a variety of versions of Internet Explorer for other operating systems including an Xbox 360 version. There is also Internet Explorer Mobile for use on Windows Phone. Internet Explorer is the default web browser that comes with Microsoft Windows. This means that when a new Microsoft Windows is released the adoption rate of Internet Explorer increases. Internet Explorer was at the top of its game before other browsers were developed including Chrome, Firefox and Safari. Internet Explorer is now the second most used web browser, after Google Chrome. Internet Explorer offers many proprietary extensions including HTML, CSS and the DOM. Many of the extensions that Internet Explorer has introduced have been adopted by other web browsers. Internet Explorer offers inner HTML property which provides access to the HTML string within an element. There is also XMLHttpRequest which allows the sending of HTTP request and receiving of HTTP response. This is essential to the AJAX web programming technique which then enables rich text editing of HTML documents. Internet Explorer also features the behavior of CSS property, which connects the HTML elements with Jscript behaviors allowing for greater usability. Nonstandard behaviors include support for vertical text, support for a variety of image effects and page transitions and support for embedding EOT fonts in webpages. The favicon feature allows web pages to specify a 16 x 16 pixel image for use in bookmarks. Internet Explorer caches visited content in the Temporary Files folder which allows offline access to previously visited webpages. Caching is constantly being improved, especially in Internet Explorer 9. Internet Explorer utilizes the Group Policy function. This allows administrators of Windows Server domains being able to have control over many different settings on computers that affect the user interface. Group Policy can be used for domain-joined computers as well as the local computer. This includes disabling menu items, individual configuration options, security features including the downloading of files, ActiveX control behavior and more. Internet Explorer also features a set of Component Object Model interfaces that allow other components to extend the functionality of the browser. There are two types of extensibility including Browser and Content Extensibility. Content extensibility can be used in terms of Active Documents or ActiveX controls. Add-ons can be installed locally or directly by a website. Since add-ons have more privileged access to the system it is important that one makes sure they are safe before downloading. Security-threatening add-ons have been used to compromise the security of Internet Explorer in the past. There are a few Microsoft safeguards against this including an Add-on manager for controlling ActiveX controls. 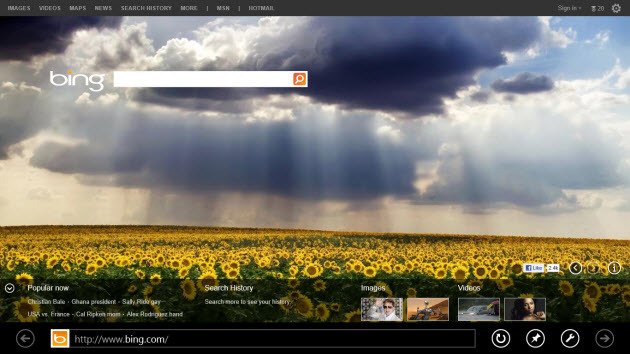 Internet Explorer features a sleek easy to navigate user interface. There are a variety of add-ons available that can customize the way you search the web. Internet Explorer supports HTML 4.01, CSS Level 1, XML 1.0, and DOM Level 1. 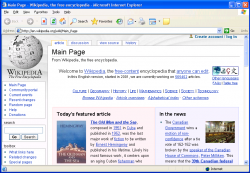 Internet Explorer 9 supports XHTML and a subset of SVG for use. Internet Explorer features a zone-based security framework that groups sites based on certain conditions. The site can be an Internet or intranet-based site. Newer versions of Internet Explorer feature the Attachment Execution Service from Microsoft Windows to mark websites as potentially unsafe. This prompts the user to make an explicit choice to execute the file. Internet Explorer 7 introduced the phishing filter which restricts access to phishing sites unless the user overrideshe decision. Internet Explorer 9 introduced blocking of access to sites that are known to host malware. Microsoft has made security a high priority when it comes to tackling and debugging issues found on their web browser. Internet Explorer is a web browser that many people feel comfortable with and trust. For many it was the first browser that they used to navigate the internet and for that reason it is still their choice for today. With each new version of Internet Explorer the features are better and safer, allowing the user to explore the web with ease and peace of mind.